If you want to increase your traffic through on-page and off-page SEO techniques, all you need to use Ahrefs and Semrush tools for your blog or your website. Through these SEO tools, one can rank his/her website on the first page of Google. 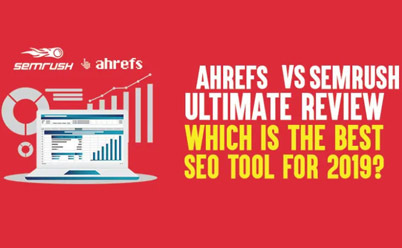 This article will elaborate Ahrefs vs Semrush pros and cons simultaneously. If you are struggling to drive more traffic and sales on your blog, you need to know the differences between Ahrefs vs Semrush, through which you can easily figure out which one is best for your blog or website. In Ahrefs you can track keyword and update frequency is 500/week, while in Semrush is 500/day. In Ahrefs you can explorer site, its position, its content, its domain, its crawling reports etc. In Ahrefs you can build quality backlinks and it is famous for building quality backlinks for any blog. While in Semrush you can do competitor’s analysis, find most profitable keywords, you can do site audit, you can find links and you can also find traffic of any site you want to know. Ahrefs offers “Site Explore” feature, through which you can explore ahrefs rank, backlinks, referring domains, organic keywords and paid keywords. While Semrush offers “Site Audit”, through which you can figure out your sites health with SEO analysis tool, errors, warnings, internal and external links etc. Both SEO tools have their own pros and cons. 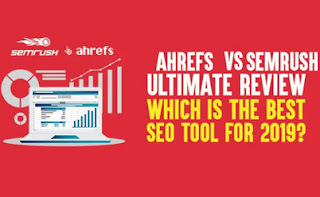 Ahrefs is best SEO tool for finding quality backlinks, while Semrush is best for content ideas, keyword search of both competitor and own website. Ahrefs crawlers are 99% accurate when it comes to find out quality backlinks, while Semrush crawlers are also 99% accurate when it comes to choose profitable keywords. Ahrefs has the biggest database of backlinks while Semrush has 1.4B keyword database. Both Ahrefs vs Semrush are great toolkits to create quality backlinks and pick up most profitable keywords for your blog. Both will significantly help you to boost more traffic and sales on your blog and website. If you are more focusing on link building, Ahrefs is great choice for your website. On the other hand if you are focusing on position tracking and keyword research, Semrush is good choice for you.